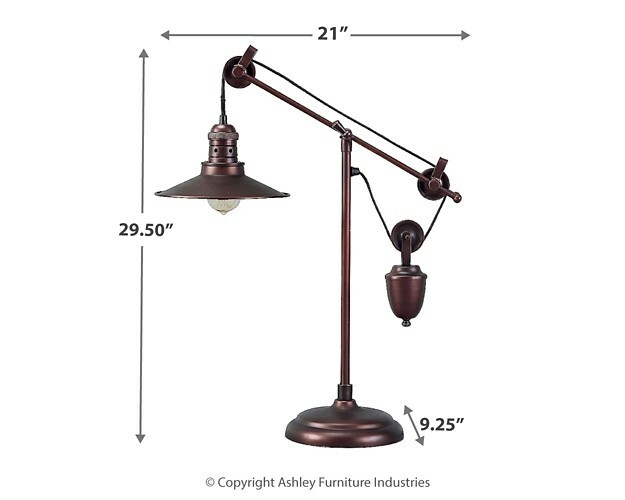 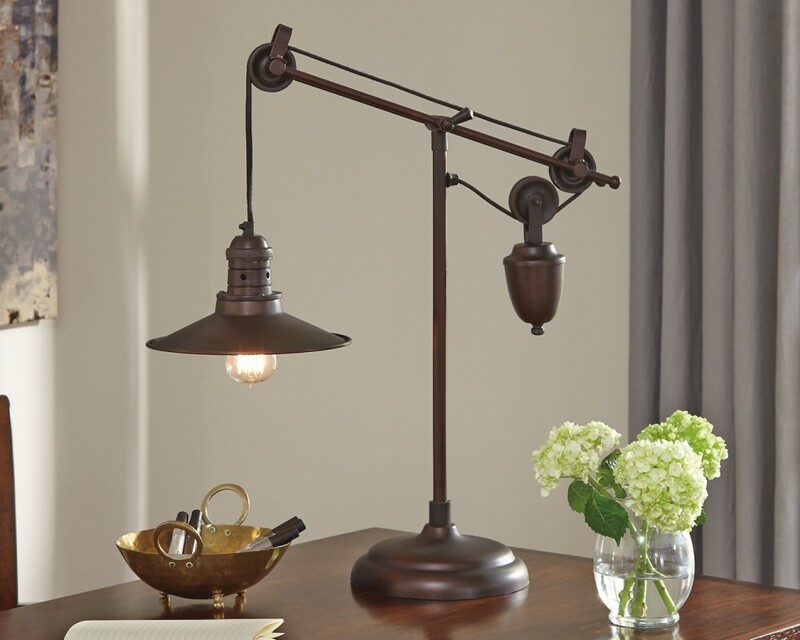 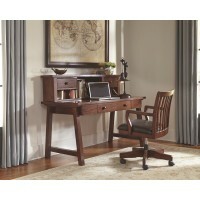 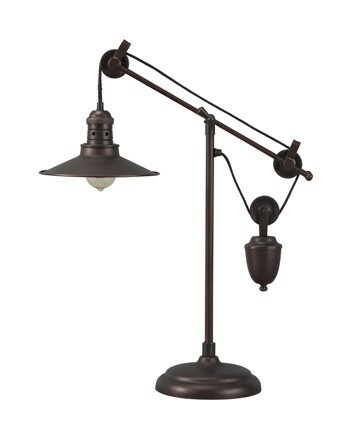 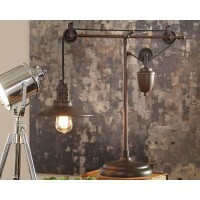 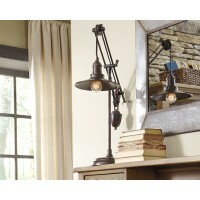 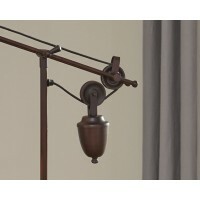 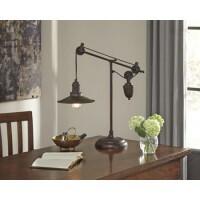 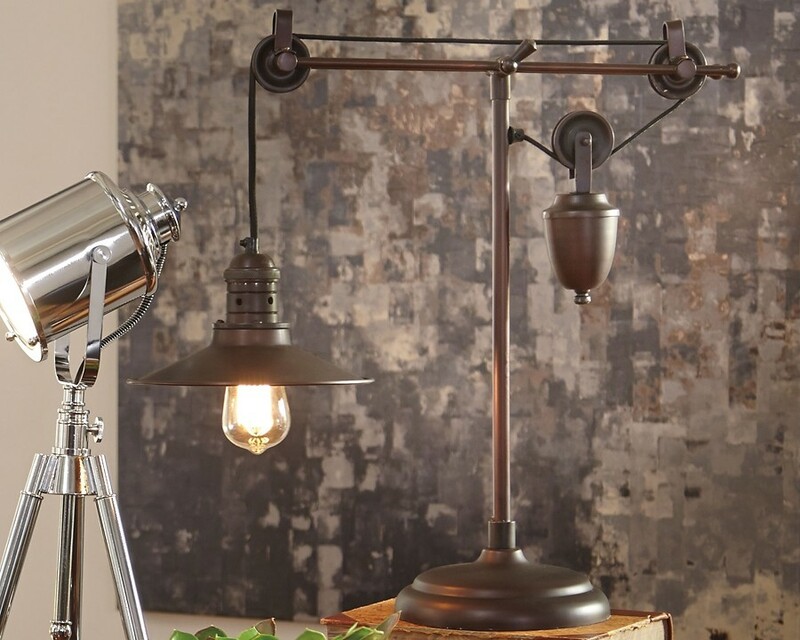 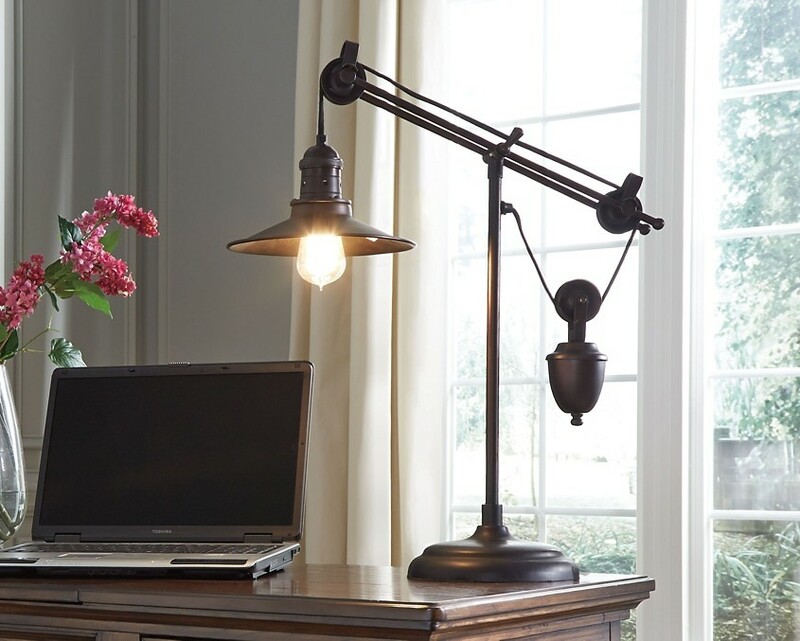 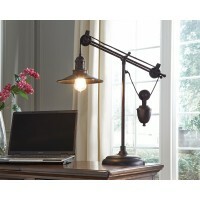 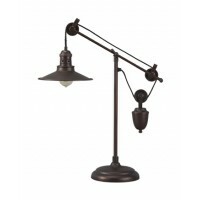 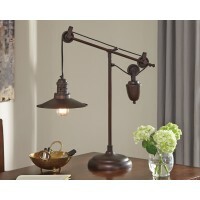 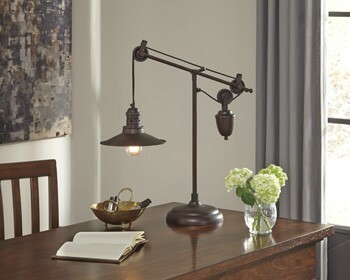 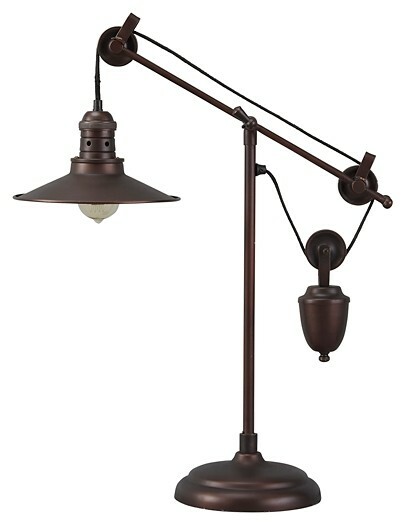 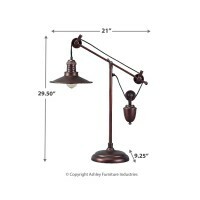 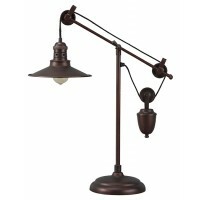 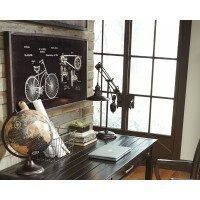 Pull off an urban industrial look with newfound flair with this table lamp. 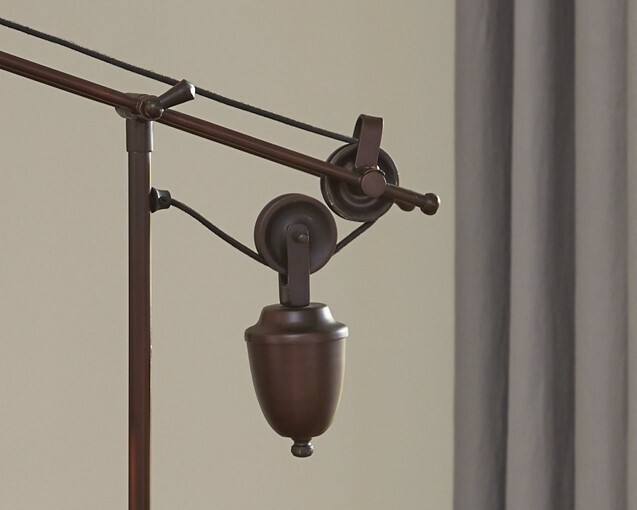 Fully functional “pulley system” is delightfully different. 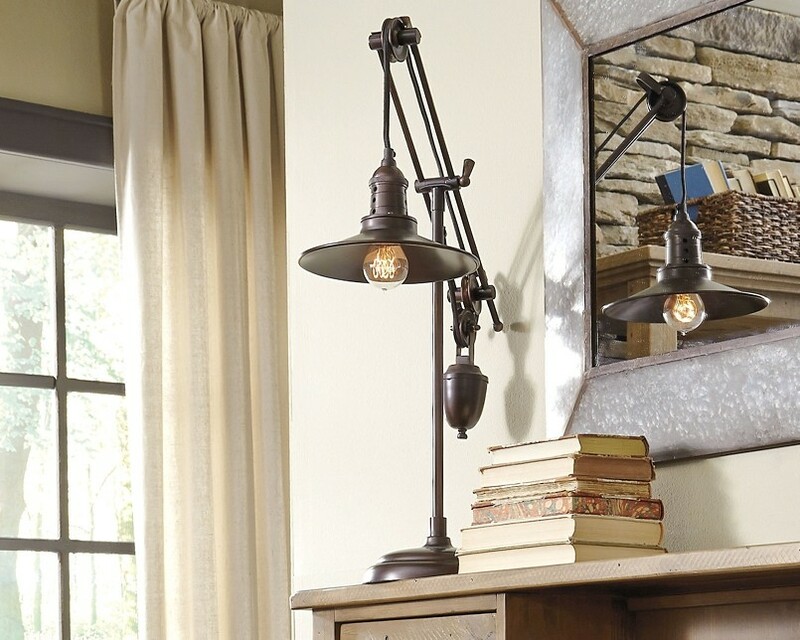 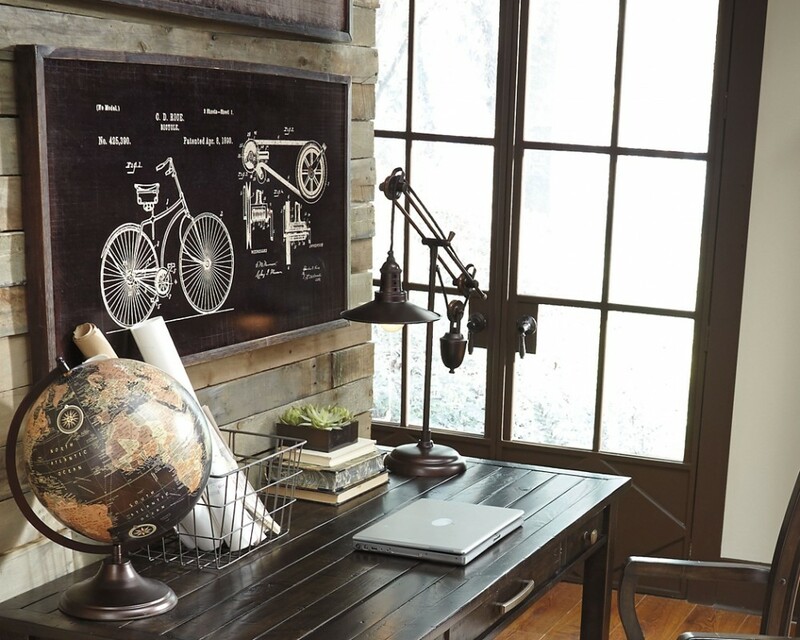 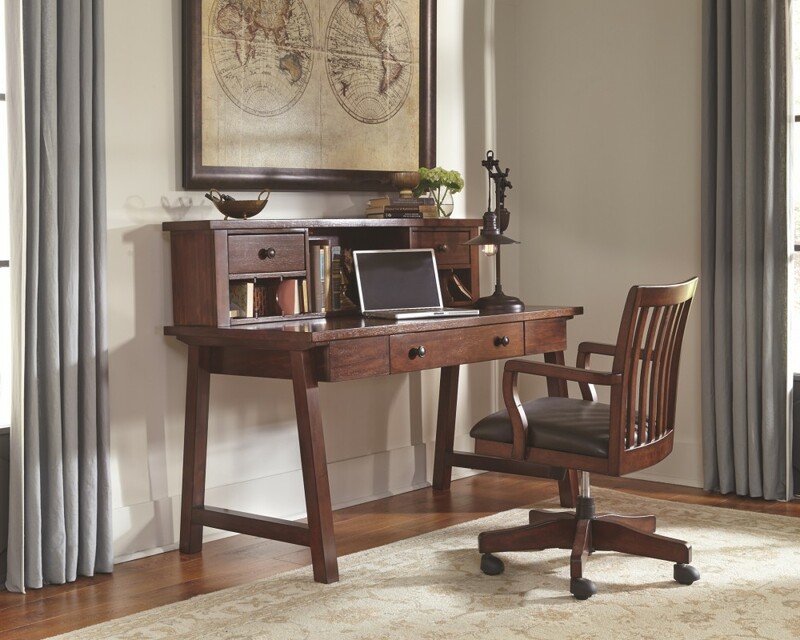 For the ultimate vintage touch, opt for Edison-style light bulbs.